Roger Federer has had a stunning 2017. His resume for this year alone would put any young player over the moon. Federer, at age thirty-six, is near yet another zenith (yes, Federer has multiple peaks, sort of like an EKG). He is ranked number two in the world behind Rafael Nadal, who he is tied with for the most titles of the 2017 season (six). This past week, Federer took home his third ATP 1000 title of 2017 in Shanghai, ripping through the competition with a winning determination. And win he did, by only dropping one set to Juan Martin Del Potro in the semi-finals. As has been the case throughout most of 2017, minus the letdown of this year’s U.S. Open, where Federer lost in the quarterfinals as the favorite to win the tournament, Federer was razor sharp, exhibiting his renaissance man-like abilities on the court, seemingly able to point and click with his racquet, placing the tennis ball wherever he wants with the proper spin, speed, and precision. The final in Shanghai matched the world’s top two players against each other, Roger Federer and Rafael Nadal, with fans anticipating a grueling back-and-forth typical of the two players’ history. The actual result was more one-sided. Federer came out baring his teeth, breaking Nadal in the first game of the match, smashing one-handed backhands with an excess of pace and placement. The backhand can sometimes be a weakness for Federer, open to attack, but in the first set of the Shanghai final, the Federer backhand was energized and equipped to handle everything Nadal threw its way. Federer glided to a 6-4 win in the first set, setting a workman-like tone that put the quintessential workman, Nadal, at unease. The second set started differently for Federer, though. He came out more reticent, it seemed, to aggressively pursue Nadal. His backhand allowed for some mistakes, and Nadal’s physicality surfaced to become the salient triumph in the first few games. In the fifth game though, Federer put together two magnificent points to break Nadal’s serve. During the deuce point, Federer came into the net and executed a balletic volley unreachable even by Nadal’s blistering speed. 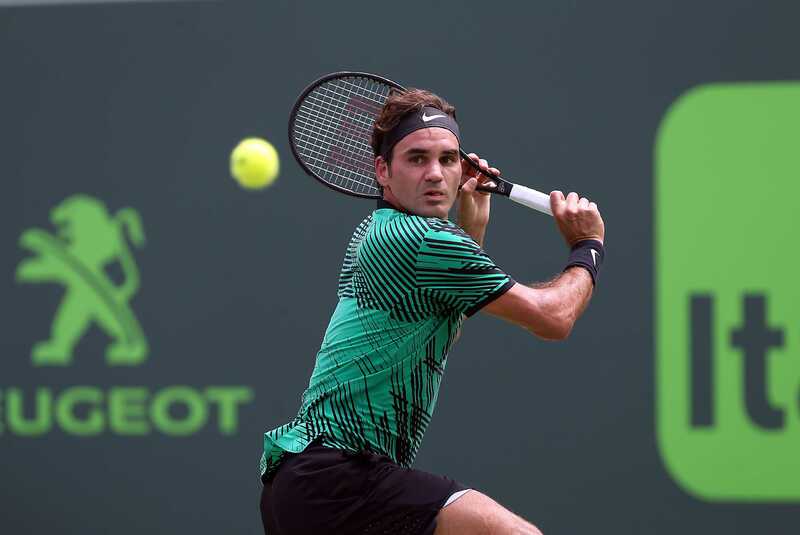 With the advantage in the game, Federer became patient, rallying with Nadal using consistent power and variegated placement to eventually draw the error from the Spaniard, giving Federer his first break of the set. The break in the fifth game was the definite fulcrum that decided the rest of the match. Federer cruised to victory, winning the final set 6-3. As the two players met at the net, Nadal exemplified a persona of courteousness and graciousness in his embrace of Federer, seemingly acquiescing to the greatness of Federer, specifically his greatness on that day. To be clear: Nadal is never one to acquiesce. He is the personification of the fighting spirit. But on the day of the Shanghai final, the fighting spirit simply wasn’t enough to usurp the consummate greatness of Roger Federer. With this win, Federer is poised to perform at the ATP Finals in London, where the world’s top eight go to compete to end the year. Federer may indeed capture the world number one ranking if he wins in London, but we don’t know. What we do know is what time is telling us: Roger Federer is going nowhere.